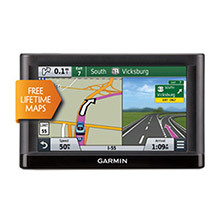 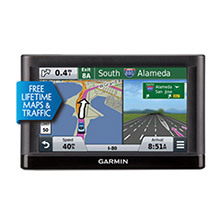 Easy-to-use dedicated GPS navigator with 5.0” dual-orientation display. 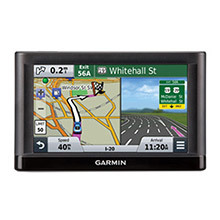 Does not rely on cellular signals; unaffected by cellular dead zones .Preloaded with detailed maps of U.S. and Canada. 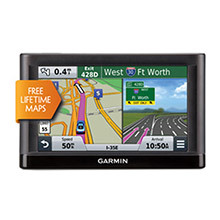 Navigate complex interchanges with ease. 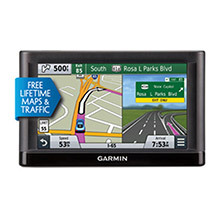 Easily search addresses and millions of points of interest. 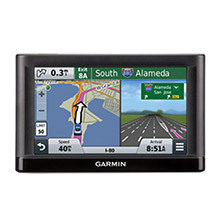 Easy-to-use dedicated GPS navigator with 5.0” dual-orientation display. 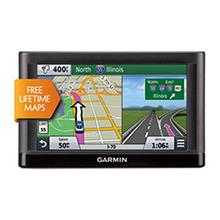 Does not rely on cellular signals; unaffected by cellular dead zones .Preloaded with detailed maps of U.S. and Canada, plus free lifetime updates. Navigate complex interchanges with ease. 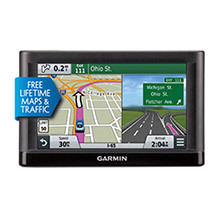 Easily search addresses and millions of points of interest.